When you're ready with the colour and pattern of the tiles, and you have finally found that cabinet to make a focal point, call bathroom fitters Kingston upon Thames to bring your bathroom refurbishment project to a brilliant result. Simply give us the details on your project, set the time-frame and budget and we will take care of the rest. Our services are fully insured and customisable to fit any budget of households, business offices, and commercial establishments in all post code areas across Kingston. In the gallery below, you can see some of the projects we've already completed to get a better idea of what we can do for you. For complete remodelling, we take extra care when gutting the bathroom and pay special attention to the electrical wiring, plumbing, and drain vents hidden in the walls. 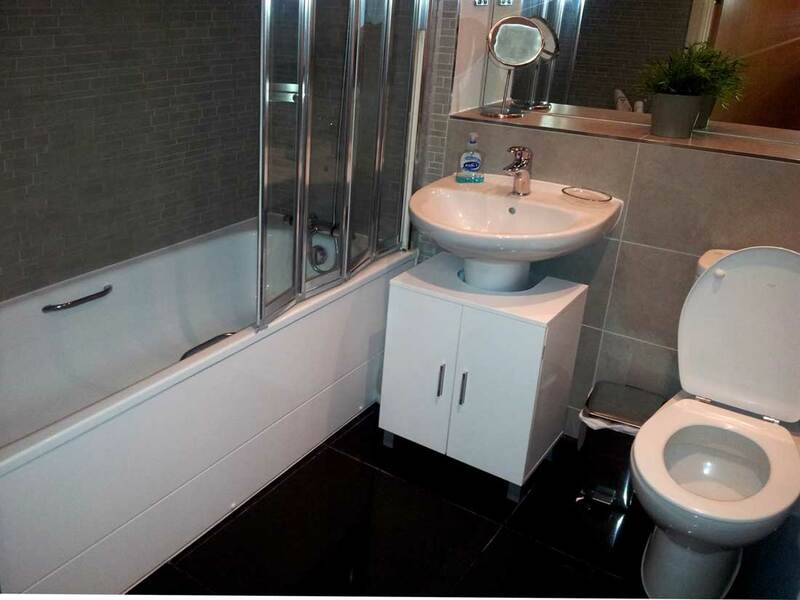 The bathroom fitters can remove large fixtures such as bathtubs, shower enclosures, countertops, and vanity unities and offer advice on the configuration to open up the space you need. We disconnect and remove: toilet unit, bathtub, shower enclosure and screen, basins, vanity units, taps, toilet holder, mirrors, and all other accessories. We can store them to be installed again after the renovation works or we can dispose of them in a responsible manner if you will be replacing them with new items. We also remove floor and wall tiling and plasterboards. We carry out plumbing and electrical works and take care of all remedy works on walls and floors. Before we lay the new tiles on the walls, we will apply plaster and dry-line the walls and apply self-levelling compound to wall and floor surfaces. We will do the tiling on floors and walls and fit the furniture and accessories. as well as all the tiling, electrical and plumbing work, painting and decorating. And we also collect all waste and dispose of it in an environmentally friendly way. Take a moment to browse some of the reviews our customers have been kind to provide in the section below. I couldn't sell my parents' house for a long time. Then, I hired your guys to refurbish the old nasty bathroom and three weeks later I finally managed to sell it! Thank you for the hard work guys! My new bathroom is gorgeous. Plus, we can offer a selection of sanitary wares, vanity units, tiles, and bathroom accessories at special discount rates for our customers. We can also carry out the service with materials of your choosing. If you've selected the tiles, cabinetry, vanities, and fixtures, we will bring along the equipment and tools to set everything into place. Homeowners: when buying or selling a house or when making renovations. Landlords: when letting out a property whether for the first time or between leases, a refurbished bathroom is an investment that will return in increased rental value. Tenants: you may need help with bathroom repairs when moving in or out of a property or you may want to add a personal touch to your long-term rented accommodation. Estate agents and property managers can also take advantage of our prompt work and insured services. Schedule your bespoke service for bathroom renovation in just a phone call to 020 3746 5384 or online via the contact form and live chat on our website.